I am envious of this awesome garage sale find, which Cassie at primitiveandproper.blogspot.com used to make an awesome upright terrarium. The chipped paint is adorable and the size is convenient. I wonder what the item was originally used for? 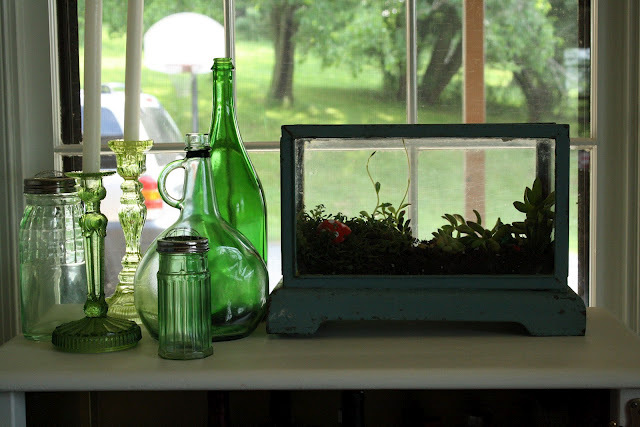 Have you ever found the perfect terrarium vessel at a garage sale? Small terrariums can survive too and all you need is a little desk space or a table near a windowsill.